“Wow” is an accurate reaction when first spotting the huge, color-saturated dahlias that Mike Schelp and wife Martha Ketterer bring to the Menlo Park Farmers Market during the late summer months. Stationed usually mid-market, the flowers are impossible to miss and nearly irresistible. 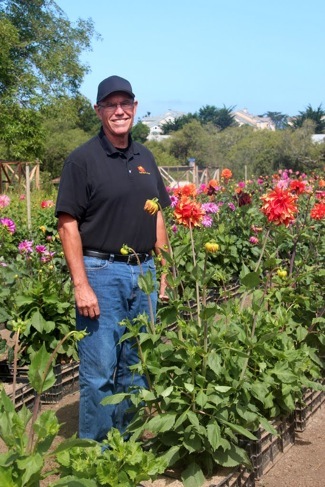 Mike and Martha grow their gigantic flowers on leased land near Half Moon Bay that they’ve named The Dahlia Farm. The commercial pursuit started in the backyard of their Moss Beach home. “It was Martha’s idea to grow dahlias in our cutting garden,” explains Mike, standing in his field of flowers. 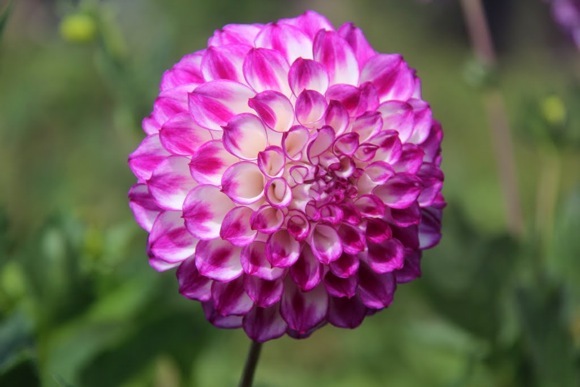 “We began by getting tubers from the San Francisco Dahlia Society. Today they grow 61 varieties. “We take a bit of a different approach than other commercial growers,” says Mike. 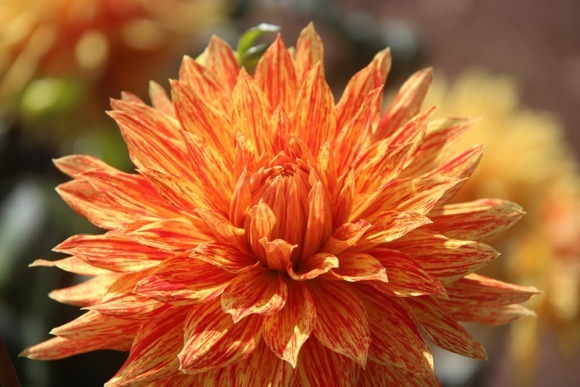 “We go the the dahlia shows in August and make selections based on size, shape, and color. Menlo’s Farmers Market is the only market they sell at; the rest of their dahlias continue to be sold wholesale to City-based florists. They chose Menlo because it’s held on Sunday. Their flowers are cut only when ready, so the weekend day helps augment their weekday City deliveries. They’ll be at the Market this year through the end of September. Is it possible to visit Mike and Martha’s Dahlia Farm?